A well designed front entrance of a home can have a major impact, not only aesthetically but also financially when it comes to resale. We recently completed the landscaping at our Ivanhoe project where there was an existing front wall which we wanted to utilize in the design but also find a way to give it a face lift. 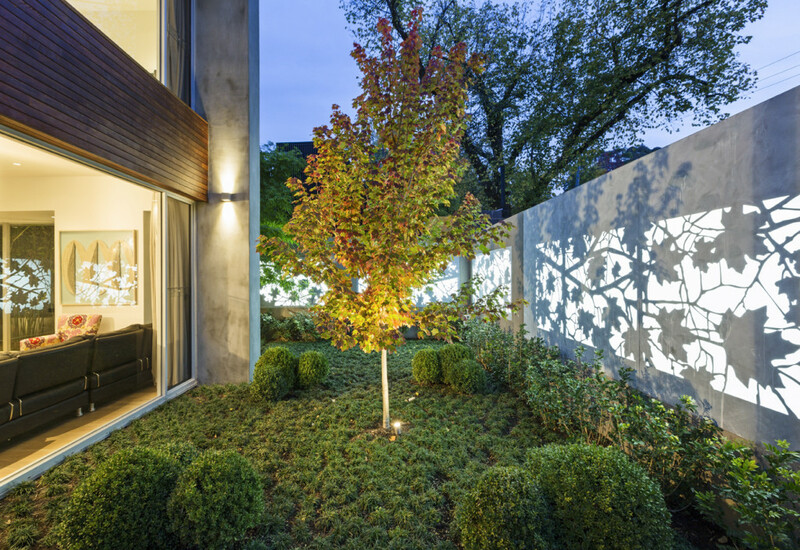 The end result was a contemporary look that was not only beautiful, but also sophisticated and functional. A letter box has been incorporated into the design for practicality but is also kept minimal so that it doesn’t detract from the design . 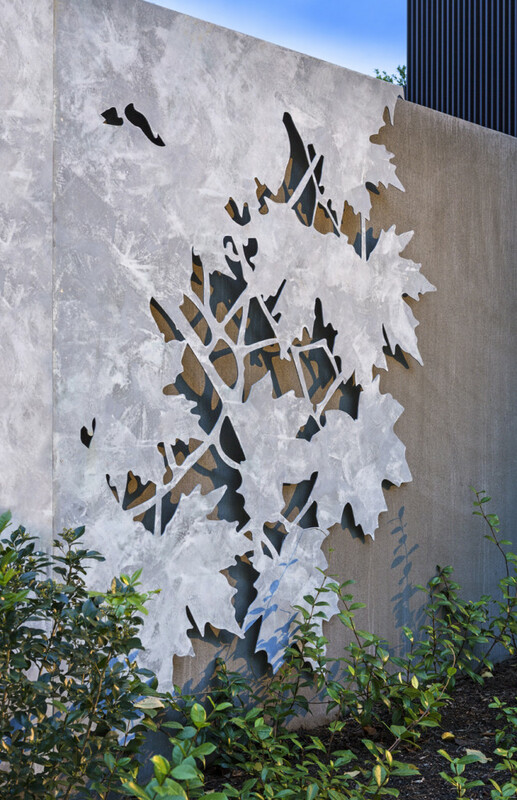 The leaf design gives depth to the wall but also helps to soften the hard structure. 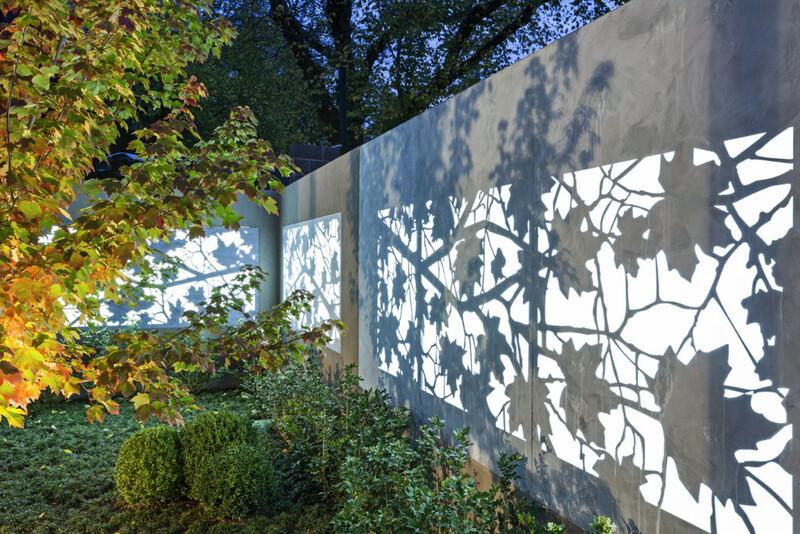 At night this beautiful wall comes to life and lights up the inside of the courtyard, creating a beautiful centrepiece that can be viewed from inside the living room.